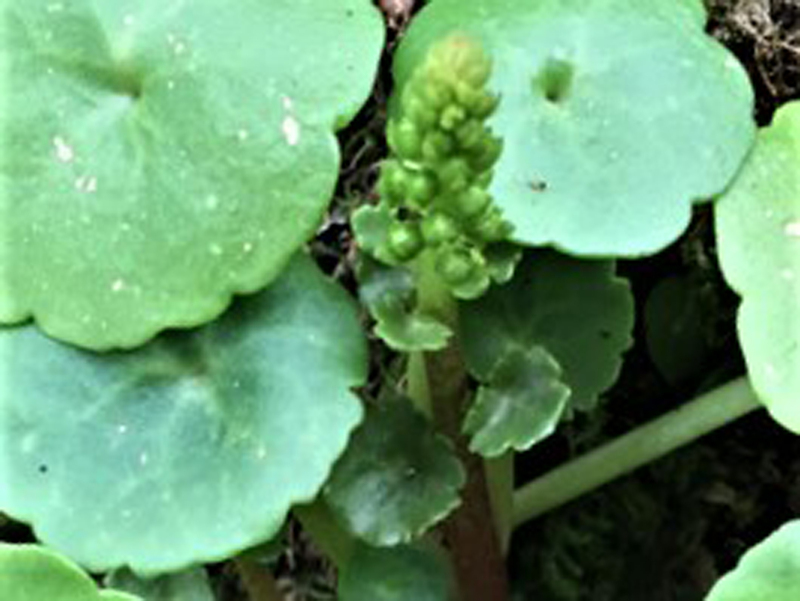 The flower stems of pennywort. 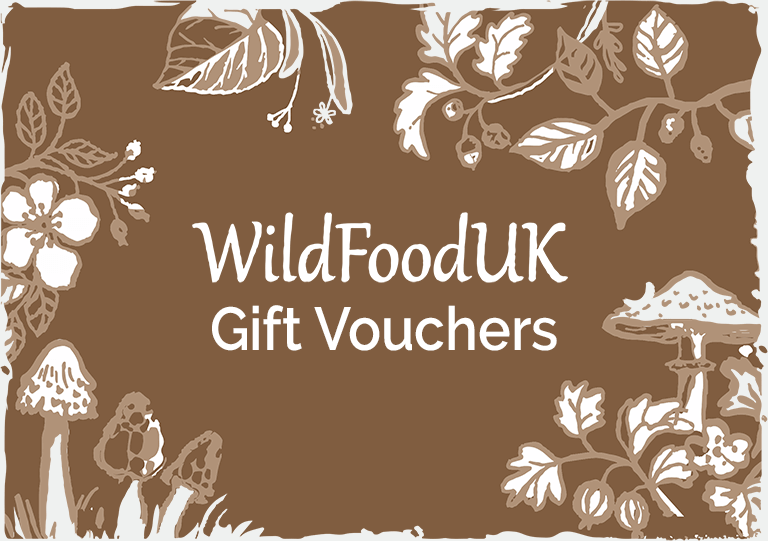 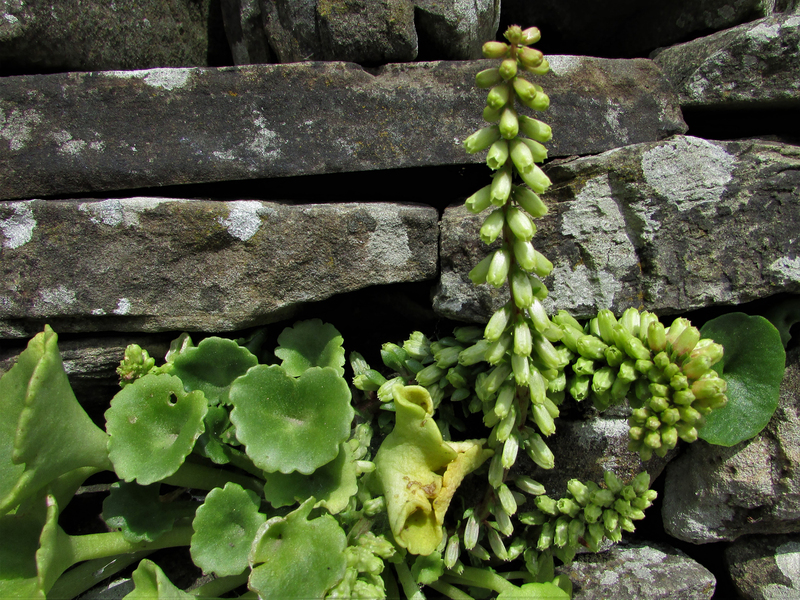 A lovely addition to any salad with its succulent, delicate flavour. 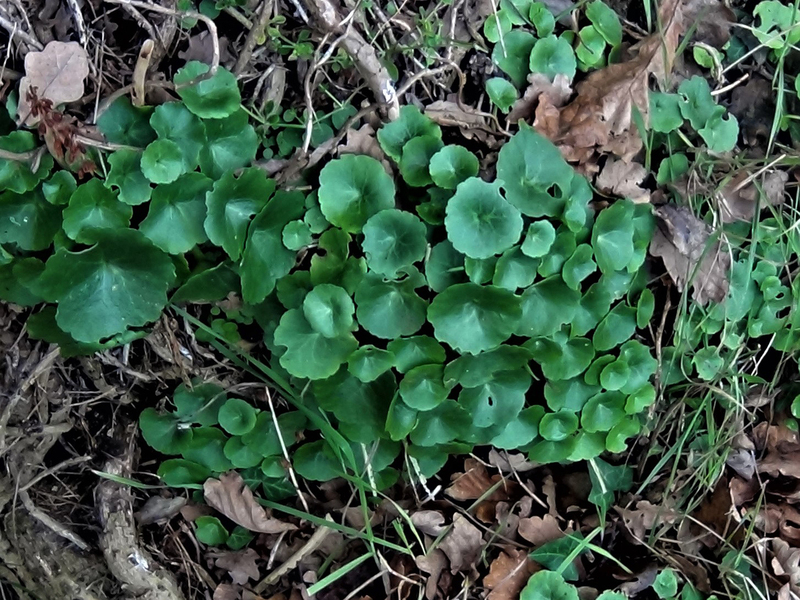 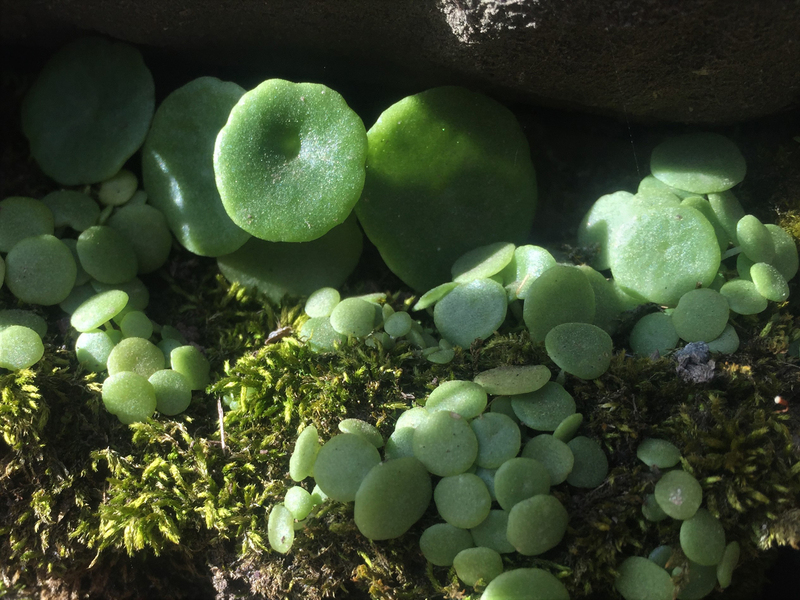 The leaves grow in rosettes and are round, usually with shallow scalloped edges, a ‘navel’ or depression in the middle and are quite fleshy and succulent. 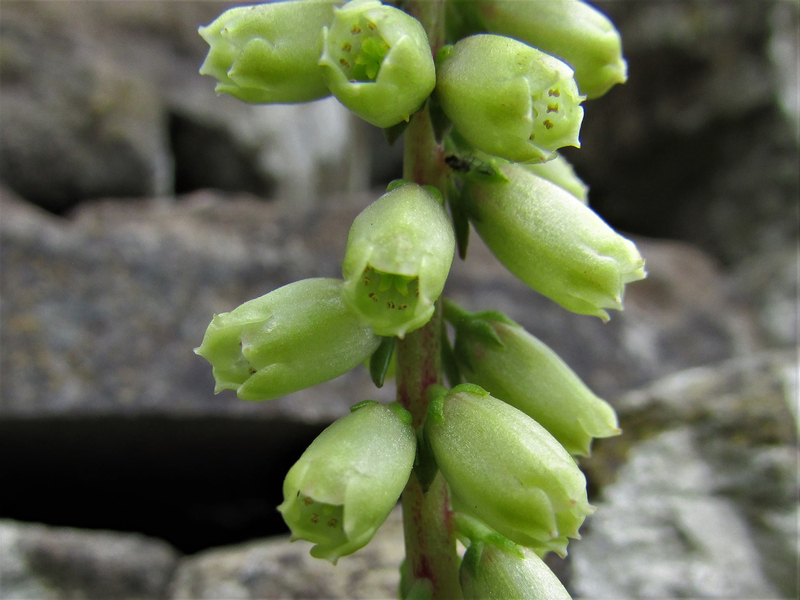 The flowers grow from and cover a tall, thick and upright flower stem and can be yellow/green sometimes with a red or pink tinge. 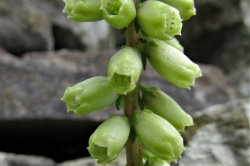 The plant flowers in May and its small, green fruit ripen through the Summer. 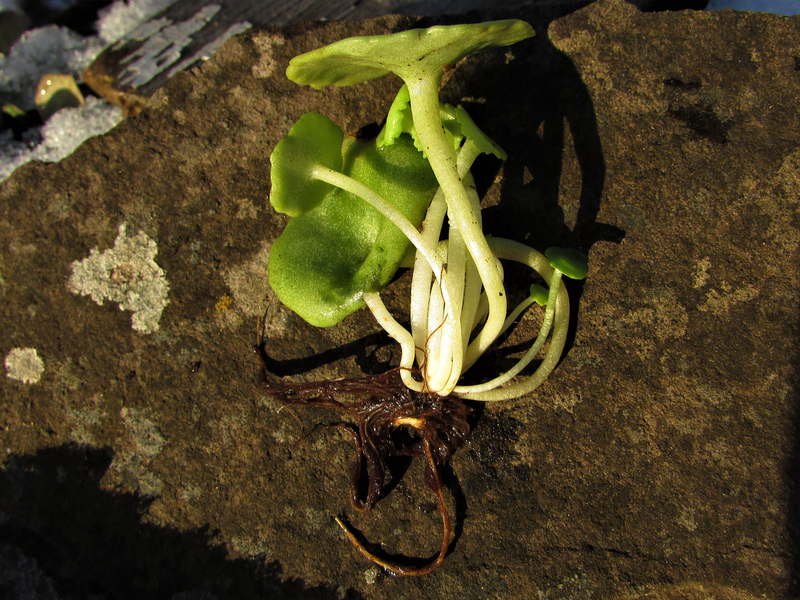 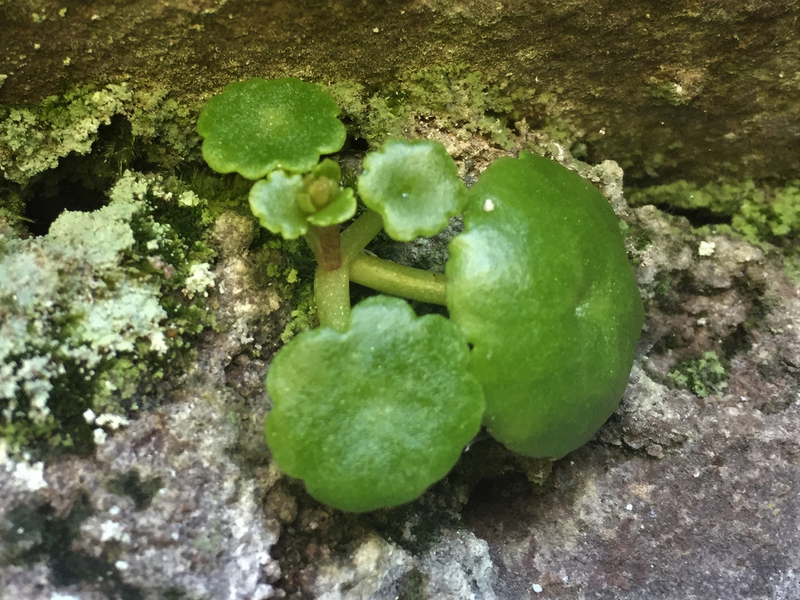 Small, shallow and easily torn away from the rock when clumsily removing some leaves. 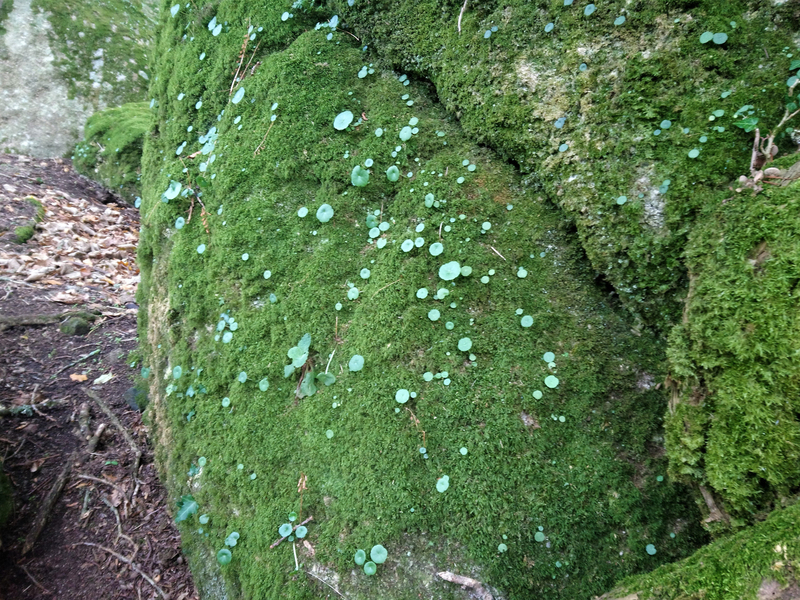 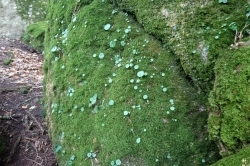 Damp rock crevices, shady walls and I’ve even seen it growing from a tree stump. 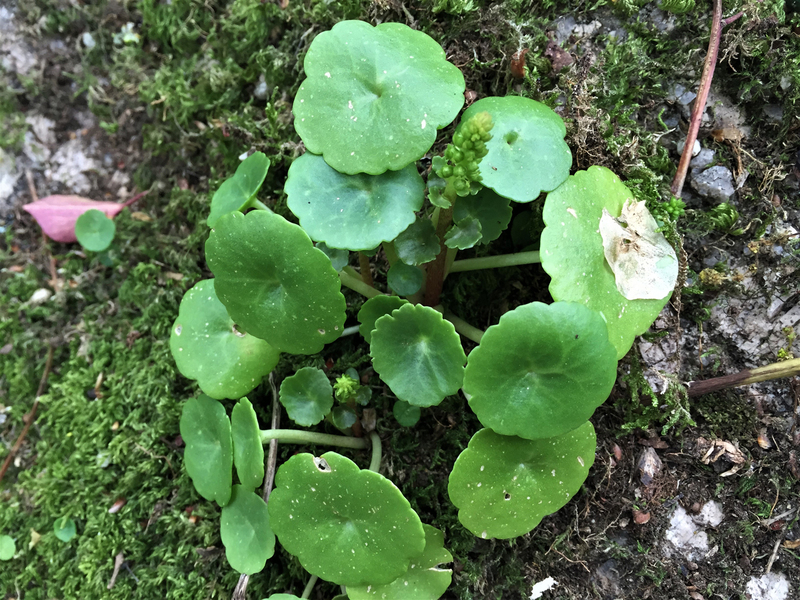 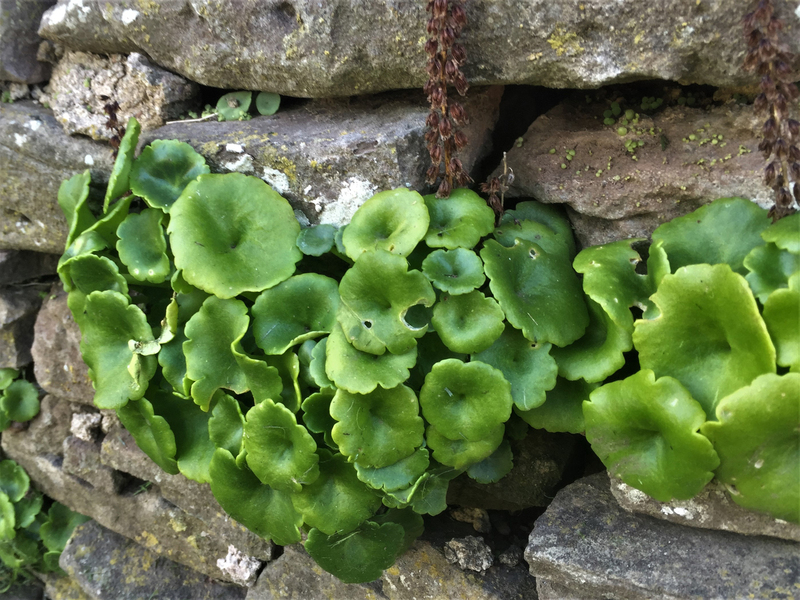 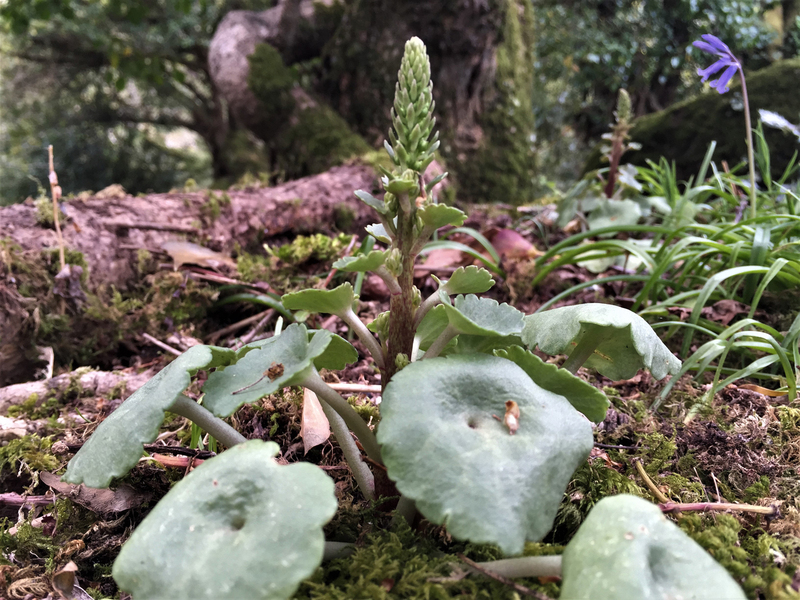 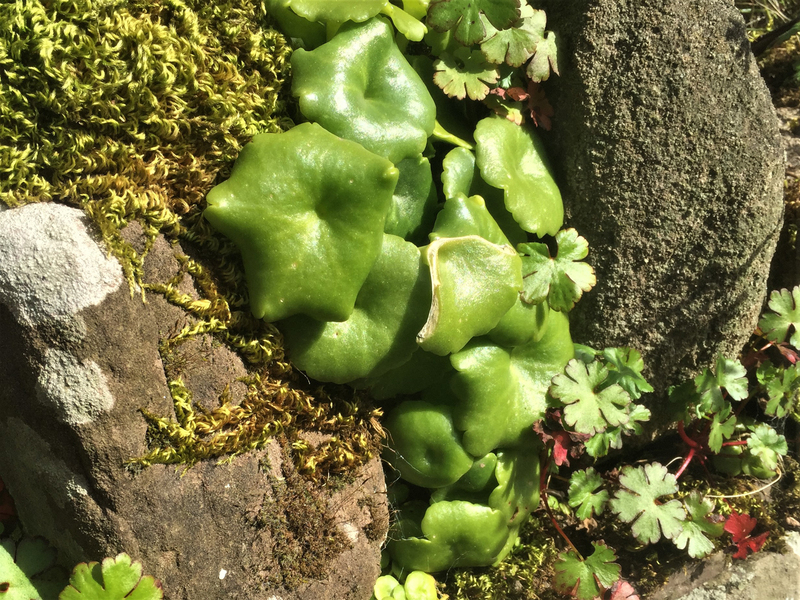 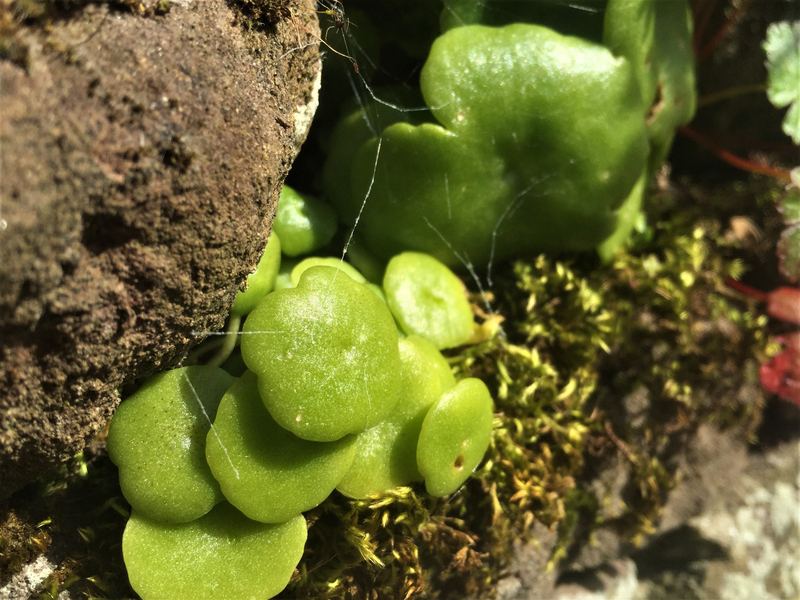 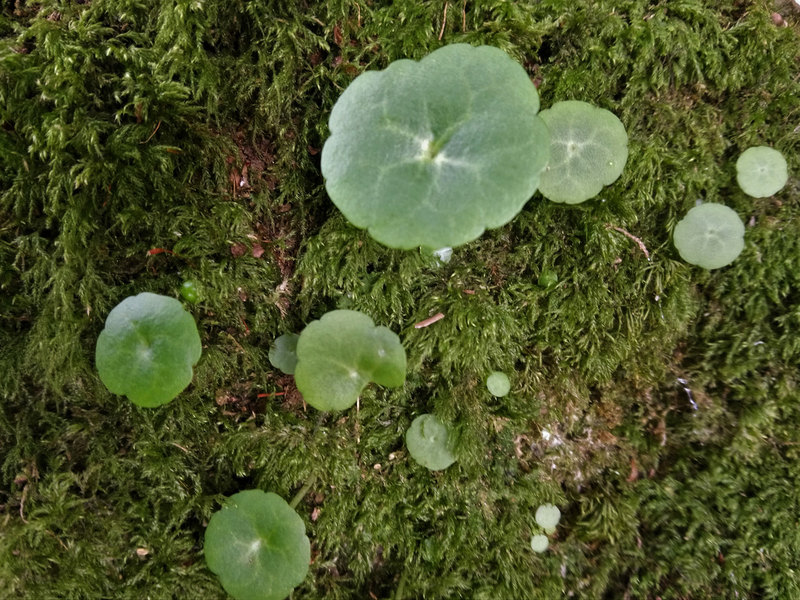 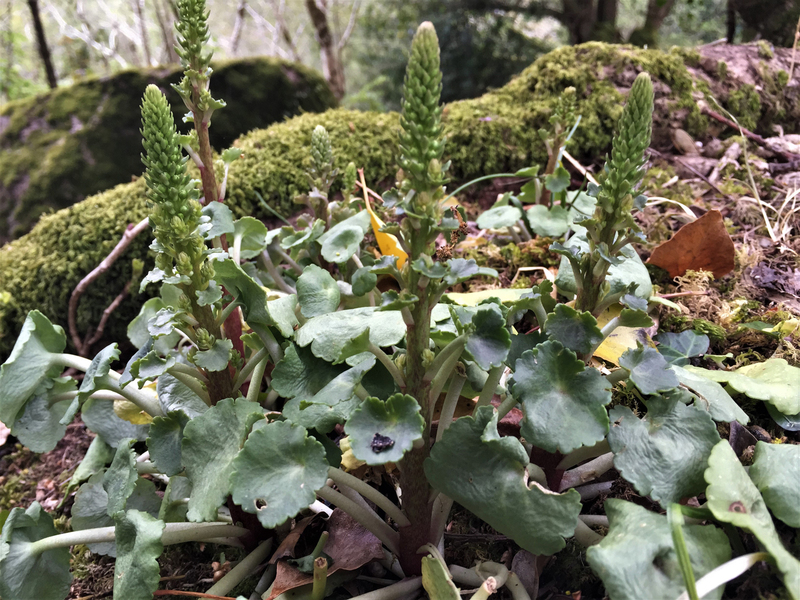 With its fleshy, succulent leaves and stem growing into a ‘navel’ in the middle of the leaf and growing from rock crevices it is difficult to confuse Pennywort with any other plants. 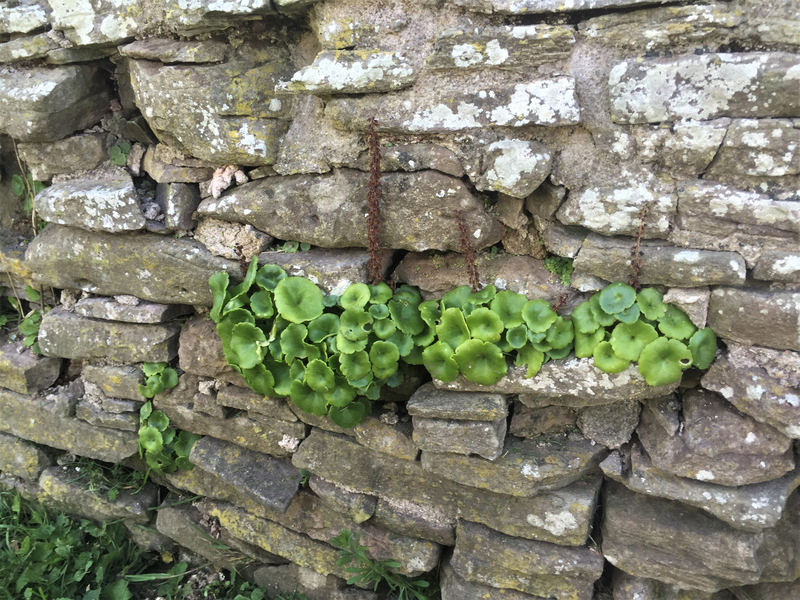 Some say a bit like peas although we think it is pleasant but usually quite neutral although from different rocks and walls and times of year they can sometimes be very bitter. 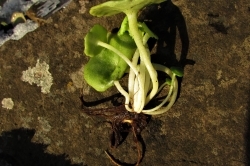 Care should be taken when removing the leaves as the whole plant can easily be detached from where it is growing and it should only be harvested when there is an abundance of the plant and only a couple of leaves taken from each rosette. 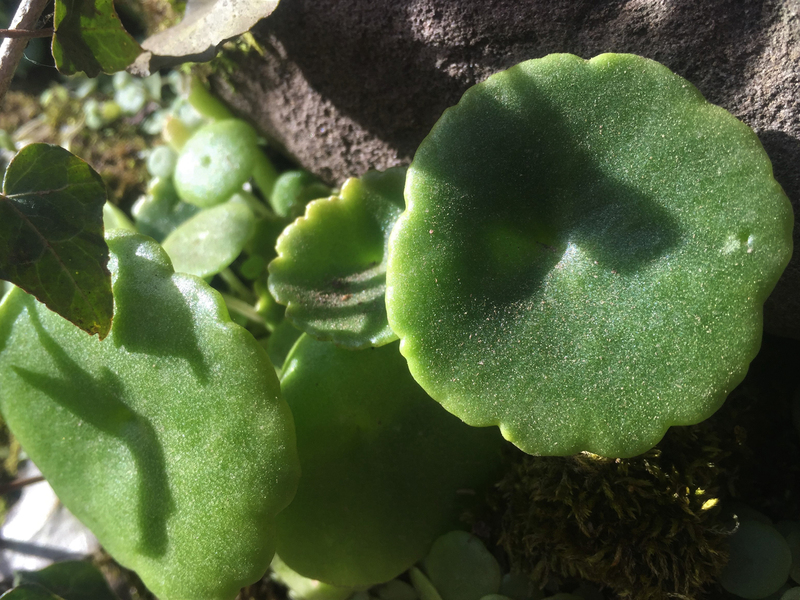 Can be used to cool minor burns and grazes by removing the lower surface skin on a leaf and applying it to the wound. 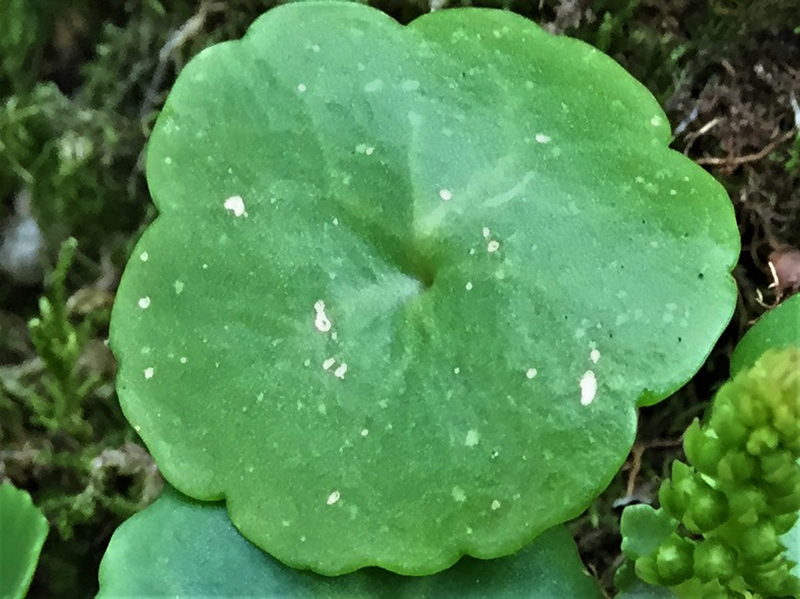 From the stonecrop family, Crassulaceae, Navelwort and its scientific name, Umbilicus, refer to the ‘belly button’ in the middle of the leaf. 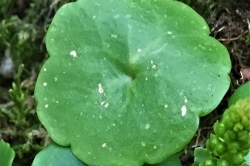 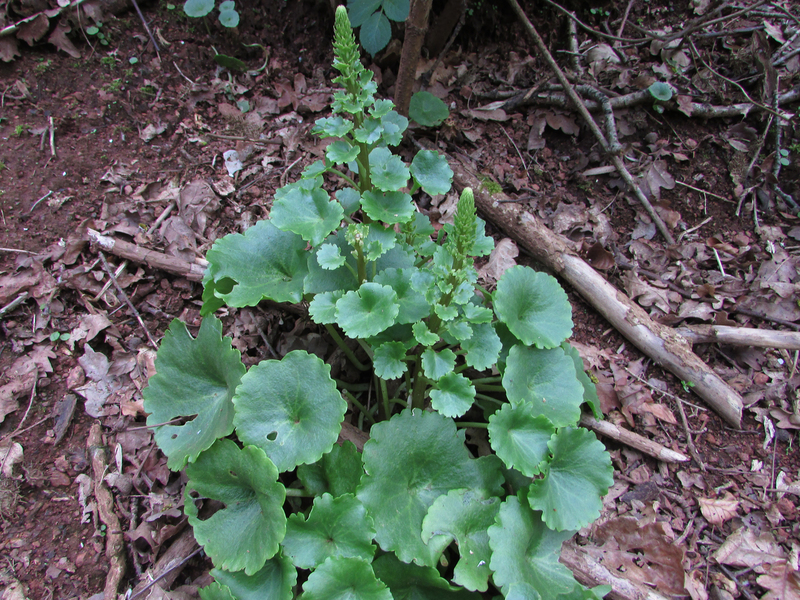 Pennywort refers to the leaves slight penny like shape.